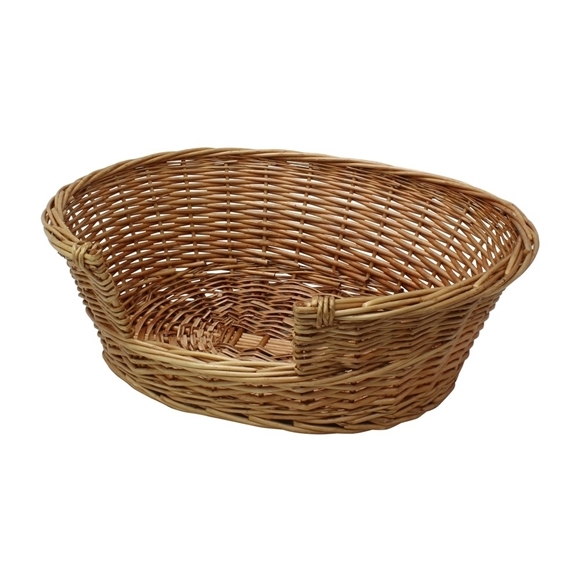 This classic pet basket is made from buff willow featuring a rolled top. Ideal dog bed or can be used for cats. Size: H:20 x W:58 x D:49cm approx. Please note the fourth image is shown for illustration purposes only. The pet pillow is not included with the basket.